We are walking away from trauma, loss and separation and some days we seem to have walked so far. 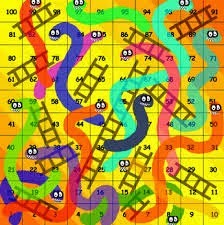 Some days we appear to be on a cosmic Snakes and Ladders board, just with very small, infrequent ladders and lots of snakes that take us back from where we came. We make a baby step, then another in the right direction, we fall and we seem to be back where we started. Our psychotherapist calls it regression. The act of going back. The usual suspects provoke its arrival, the new school term, birthdays, trips, the summer, memories, people, family, shampoo, and the word ‘no’, it is a long and unpredictable list. The inevitable onset of puberty, physical and emotional change, complicates the picture. We look back to see where it came from to try and look forward to sidestep any potential provocations. Sometimes the regression is fleeting, in the flicker in the eye or change in expression we see the frightened/angry/desperate infant for a second. Sometimes we go back to the chaos of thought and feeling for a day or a week. It can be banished by a distraction, words or comfort, sometimes it can’t. It is the testing of hope, like a shadow that looms and subdues the light. Warned though we were of its inevitability it still comes as a shock, a disappointment. It’s not all bleak, we’ve had our ladders. We’ve expected the worst and seen the best. We’ve been left agog at self-awareness and insight. 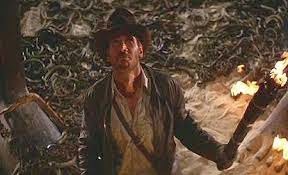 A two-rung ladder outweighs a myriad of snakes. Hope is a potent thing, so we roll the dice every morning.